Intellectual property is worth a good strategy for risk management.Identifying a company’s intellectual property can sometimes be a fuzzy exercise, but it’s clear that failing to do so and not having a risk management strategy to safeguard a business’ “secret sauce” can lead to dire consequences. That’s especially true for startups whose only real asset may be the big idea that got them going in the first place. Still, intellectual property and risk management consultants say companies may not be doing as much as they can to protect their IP assets, which can include everything from product formulas to customer lists. “I wonder if inside the doors people are having enough robust conversations about what their intellectual property is and what needs to happen to manage the risk,” says Steve Snethkamp, a partner in the Columbus office of EY. 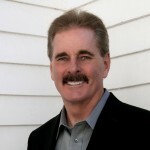 His consulting practice covers a variety of industries with a focus on information technology. The stakes are high, he says, pointing to incidents in which the technology behind a new product has been stolen and implemented by overseas competitors even before the IP owners can get that product to market. And it’s not easy to manage that risk, especially with all the data that can be shared—and exposed—through the ever-increasing use of mobile technology and interconnected devices. Then businesses need to clearly define their intellectual property, identify where it is located, make an inventory of it and put in place controls, processes and procedures to protect it appropriately. “It’s hard stuff to do,” Snethkamp says. But it’s also essential given the findings of a 2013 study by the independent Commission on the Theft of American Intellectual Property. It estimated that international thefts of intellectual property have an impact of more than $300 billion annually on the US economy, costing the country millions of jobs and dragging down economic growth and investments in research and development. Risk managers historically were focused on hard assets—buildings, equipment and inventory—but that has shifted to intellectual property and intangible assets such as copyrights, patents, technical processes, trade secrets, customer lists and distribution networks, says Philip Renaud, executive director of the Risk Institute at Ohio State University’s Fisher College of Business. 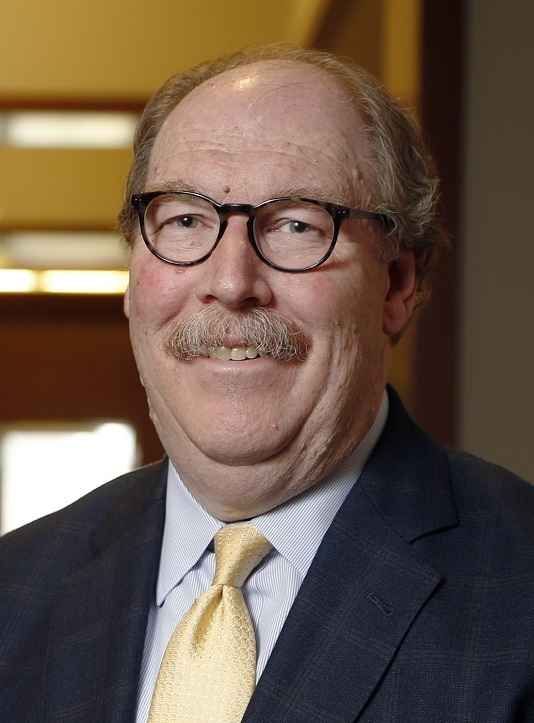 He has worked in the risk management field since the early 1980s, including stints with L Brands, Kmart, Exel and Deutsche Post. In his opinion, IP risk management in many cases becomes a defense strategy in which companies must educate team members about the importance of protecting the brand. That is particularly the case of detailing the risks when employees are working online and sharing data. Such preventative steps are especially important, Renaud says, because of the difficulty and expense of stopping an IP infringement after the fact. There is also the thorny issue of taking legal action when an IP infringement occurs overseas. “How do you get enforcement in China?” Renaud asks. His best advice for companies is to make sure they understand their intangible assets—how they are used, their value to the business and how they are being protected. When looking to protect intellectual property, companies should consider registering their rights with patents, trademarks and copyright, says Susan Rector, an attorney at the Columbus office of Ice Miller LLP. She represents companies in all aspects of IP ownership and information technology transactions. She works with a lot of startup companies that are building their business model around a proprietary product that is far and away their most valuable asset. Intellectual property presents some specific challenges for risk managers, says Nicholas Kaufman, head risk manager at Battelle in Columbus. First, it can be difficult to place a value on IP assets because they can be hard to measure, especially compared to property risks or auto liability. Second, Kaufman says there really is no insurance market for intellectual property because mature insurers tend to organize around areas they understand and know the likelihood of payouts on policies. That’s not the case with IP because of the difficulties in placing a value on the assets and calculating the risks to them. Despite those issues, companies still need to have a risk management program in place for their intellectual property assets because the stakes can be so high. 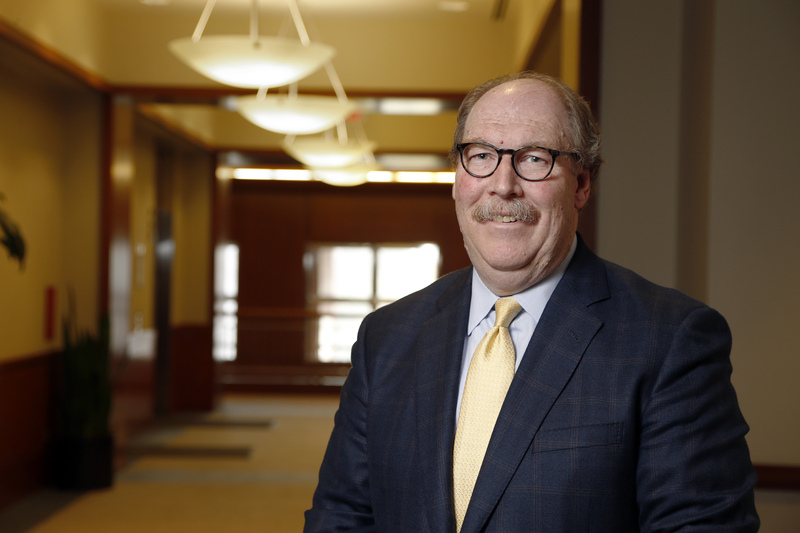 Kaufman says Battelle’s program takes an enterprise-wide approach in managing the IP risks for its range of products, services and research it conducts. Kaufman says intellectual property best practices start with an understanding of your organization and how IP brings value. Then it becomes a matter of aligning resources to protect that value. The sooner that companies think about protecting new intellectual property the better, says Ari Zytcer, a Vorys, Sater, Seymour and Pease LLP attorney who has worked in the IP field for more than 10 years. But he also recognizes that can be easier said than done. Zytcer also says there is no one-size-fits-all approach for IP risk management. Small companies, for instance, have to consider whether it is best to spend limited resources on patent procurement versus funding research and development and breaking into a market. Large companies generally take a more holistic view with IP committees drawn from the business side—risk management, legal, finance and marketing for example—and R&D side of the enterprise. They track new inventions and make the call on the allocation of resources for patents, trademarks and other IP safeguards. This article was originally published in Columbus CEO magazine’s November 2016 edition. Disruption and gender diversity are two of the biggest topics facing business leaders today. Both issues are critical to the future of every industry. And they’re closely connected. The best way to navigate disruption is to harness the power of diverse thinking by enabling people with different experiences, ideas and knowledge to come together in an inclusive culture. Gender diversity is a critical part of the equation. Not only this, gender diverse leadership is proven to increase the skills businesses need to navigate the disruptive trends transforming their industry. If a person, or company, wants to succeed in mitigating risk, they must embrace gender diversity at every level. In short, everyone benefits from thinking like a woman. Achieving success isn’t something that just happens to a person. It requires a lot of hard work, tough choices, and generally being willing to put yourself out there— trying something new. No matter if you’re the intern grabbing Starbucks for your department or a C-suite executive, don’t be afraid to think outside the box. When approaching any situation, don’t come to the meeting and just point out the risks — offer real solutions. Every panelist punched this point home — communicate with everyone, from your spouse to your organization and boss. By being an open communicator, you project to others that you are confident, open to compromise, and available. 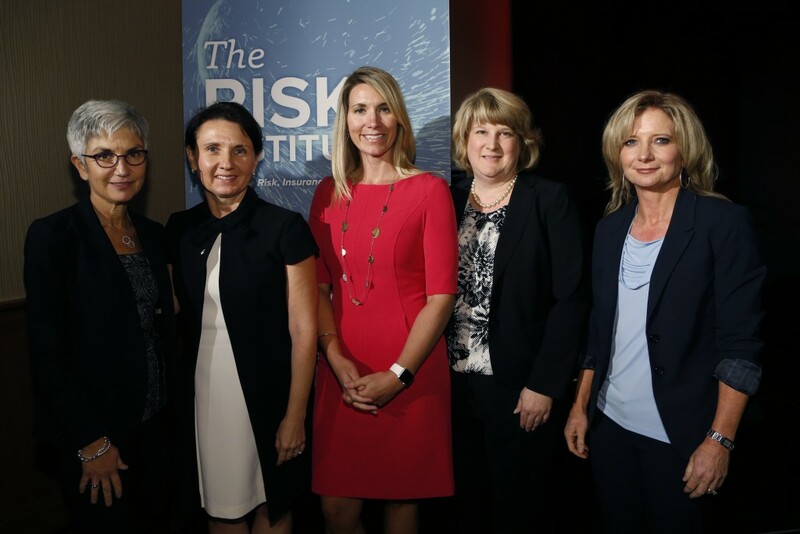 Each year, The Risk Institute at The Ohio State University Fisher College of Business hosts an annual conference that brings together thought leaders, industry experts, and academics to engage in a dialogue about the latest trends in risk management. This year the conversation focused around governance, culture, and the vital role women play in the field. One of the Institute’s founding member’s, EY, cosponsored a panel spring-boarding their Women. Fast forward initiative, which aims to accelerate the achievement of gender parity in business. The Risk Institute will continue this conversation and others through this year’s Risk Series. 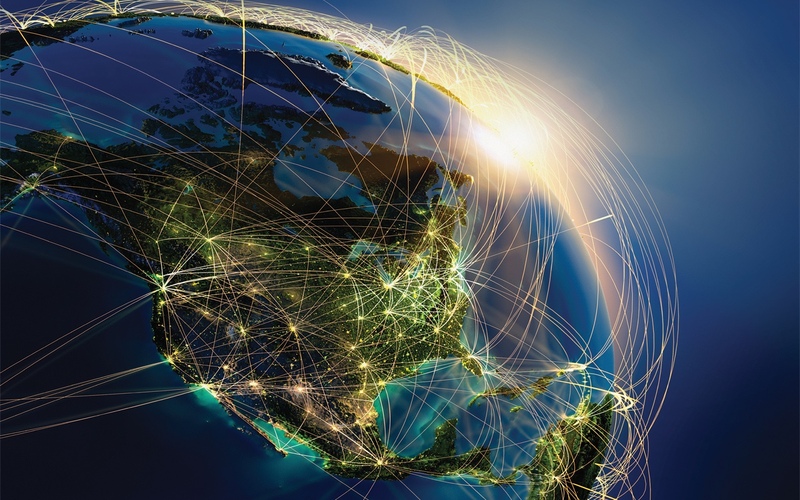 Supply chains have become global and highly complex. Building and maintaining a resilient supply chain is a key success factor for businesses operating in a fast-changing world. EY Climate Change and Sustainability Services (CCaSS) collaborated with the UN Global Compact on the study in an effort to better understand how companies are managing their supply chains in ways that support the objectives of the United Nations 2030 Agenda and Sustainable Development Goals (SDGs). The UN Global Compact is the world’s largest sustainability initiative and EY has been a participant since 2009. The report draws on business inputs across geographies, sectors and business models. CCaSS and Advisory Supply Chain and Operations professionals interviewed 70 clients globally to explore how they are embedding sustainability in their supply chains by managing risks and adopting new commitments around human rights, the environment and the well-being of communities in which they operate. Overall, the study indicates that by improving environmental, social and governance (ESG) performance throughout the supply chain, companies can enhance processes, reduce costs, increase productivity, innovate, differentiate and improve societal outcomes. Currently, only a small percentage of companies have achieved leadership maturity levels that can lead to shared value with suppliers, enable suppliers to operate as an extension of the business and engage in meaningful, collaborative dialogue. This post was written and published by EY, one The Risk Institute’s founding members, in August 2016. To view the original article or download detailed study findings, click here. Each and every day, businesses face the challenge of managing in the face of disruption. That disruption may be a result of a supply chain failure, natural catastrophe, cyber event, the list of disruptions goes on and on. With the volatility that businesses face, the need to structure proper business continuity / critical incident management plans has never been more important. According to a recent study authored by Allianz Global Corporate and Specialty, 58% of participants reported that Business Interruption (including supply chain disruption) was a key risk to their businesses. The Aon Global Risk Management Survey 2015 also lists business interruption as one of the top ten risks facing companies. Students worked diligently during the day exercise to think through options, respond to life and safety concerns, communication challenges, manage customer expectations, etc. Daniel Oglevee, Senior Lecturer in Finance, Academic Director of The Fisher Executive MBA Program, The Ohio State University. Business Coach for the event was Gregory Clark, a graduate of The Ohio State University Fisher College of Business. Greg is now Global Lead, Business Continuity DHL Supply Chain. Greg provided very meaningful coaching for the students as they worked through the simulation exercise. Students were pleased to be able to participate in an exercise that provided the opportunity to exercise material presented in the classroom with a real world, hands-on scenario. The Risk Institute is pleased to have an opportunity to prepare our students for events that they will experience once in business. As has been said on numerous occasions, anyone can manage an organization when things are going well – it is when things become difficult that true leaders emerge. The session proved thought-provoking for the students and demonstrated The Risk Institute’s unique role in uniting students, industry thought leaders, academics and highly respected practitioners in an ongoing dialog to advance the understanding and evolution of risk management. The Risk Institute’s conversation about risk management is open and collaborative with its relevance across all industries and its potential for competitiveness and growth. For more information about upcoming events, our students, partners or research, visit our website: fisher.osu.edu/centers/risk. Weather plays a big role in our economy – from retail to agriculture to transportation, all industries are affected by it in some way or another. A summer drought in the Midwest can negatively impact the agriculture sector while simultaneously creating a boom in new housing construction. Consumer behavior is also influenced by the weather. Consumers in Phoenix in light rain and 75° react differently than those in Portland, Oregon in similar conditions. Over the recent years, climate variability has been increasing with extreme weather occurrences becoming more normal. Thus, understanding your organization’s vulnerabilities to weather disruptions is important to achieving corporate objectives and creating value. It is less about the averages and evolving weather trends and more about the increasing extremes in our global and regional weather patterns. The use of recent advances in technology, data collection and data quality has led to new predictive analytics tools to more reliably project the weather risks. These new analytical tools can improve managers’ abilities to better understand their business’ exposures to weather and more effectively manage these risks. No one can control the weather, but planning for weather disruptions and its impact on your business is vital. If you wish to join us for this timely and thought provoking discussion, there are still seats available for the session. competitors with cost structures you cannot currently match. transient customers or clients with no loyalty. It may be that you need to up your game on the innovation front and develop more new products, services and methods. So, who do you put on the team that is going to drive the disruption? All risk-takers so they will charge ahead? Perhaps people who are all risk-adverse so they won’t do anything crazy? Or a healthy mix to achieve some balance? But how do you know even know the Risk Inclination of your people? At the Research Institute for Risk Intelligence, we have spent a lot of time and effort studying personal risk inclination. Because like The Risk Institute at Ohio State, we feel it is vital that organizations move away from conventional risk management and its emphasis on minimizing risk to the more current approach of utilizing risk. And that process of utilizing risk to create or respond to disruption requires understanding the risk inclination of your people. Because fueling innovation, inspiring initiative and attaining organizational agility are not just desirable – they are now mandatory if your organization is going to survive and prevail in today’s hyper-competitive, technology-accelerated, global world of business. At The Risk Institute’s annual conference October 7 and 8 I will discuss these issues and provide insights that will help you answer these questions. I will present insights based on our research into personal risk inclination that will help you better lead and persuade. In just over a week, The Risk Institute at The Ohio State University Fisher College of Business will host its second annual conference on the Columbus campus. This year’s conference focuses on DISRUPTION – a trendy and perhaps overused word these days in corporate America, but very much relevant and worthy of discussion. You or your organization can cause disruption by creating a new business model for which your competitors’ revenues and cost infrastructures do not allow them to respond quickly. In this case, the disruption has the potential to create value. Or, alternatively, you or your organization can be subject to disruption when your business strategy, process or infrastructure, for example, are interrupted by an unexpected event. In this case, disruption has the potential to negatively impact the firm. During our upcoming conference on Wednesday, October 7 and Thursday, October 8, senior executives will have the opportunity to engage in conversations with experts and peers about leading practices and current challenges related to DISRUPTION. Highlights include our keynote speakers, Kenny Dichter, founder and CEO of Wheels Up, and retired General Michael Hayden, former director of the National Security Agency and the Central Intelligence Agency. 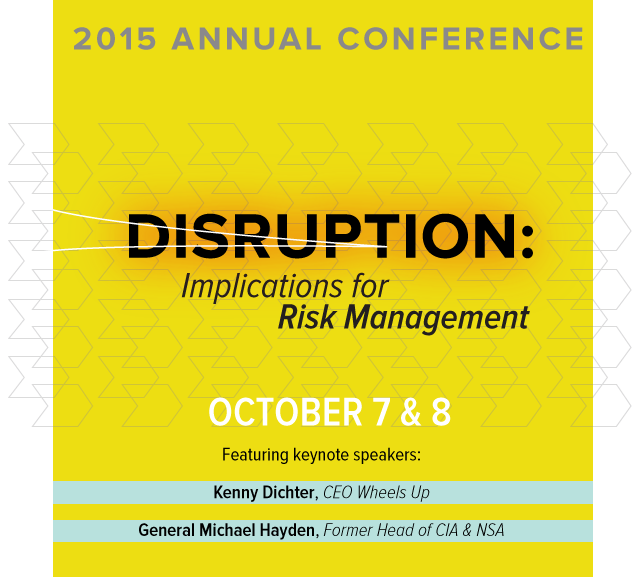 General Hayden, speaking on the opening night, will focus on Managing DISRUPTION. 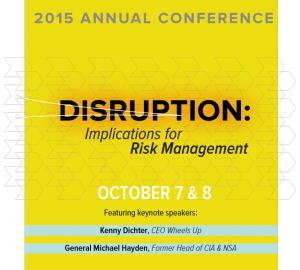 Mr. Dichter will headline the second day of the conference and present on DISRUPTION as a Catalyst. Conference attendees also will be challenged during a collection of six 20-minute RISKx talks, modeled after the high-impact and popular TED Talks, to consider DISRUPTION strategically and to generate new insights and influence risk management practice. The RISKx session includes topics such as a firm’s risk appetite, employees’ attitudes toward risk, consumer payment methods and the activist investor. We will conclude our conference with panel discussions focusing on strategic risk management implications of DISRUPTION in Financial Business Transactions and DISRUPTION in Core Systems. To learn more, visit The Risk Institute Annual Conference page.